The Camp Fire has thus far claimed the lives of 77 people, while about 1,000 others are currently listed as missing. The blaze started at approximately 6:33 a.m. on Nov. 8 in Butte County near the town of Pulga. 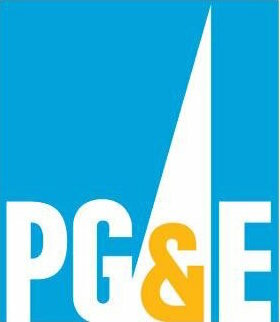 PG&E has already disclosed it experienced an outage on a transmission line that morning also near Pulga. On Friday, the utility filed another incident report with the California Public Utilities Commission, this time disclosing an outage on a power line near the Concow area in Butte County at 6:45 a.m. on Nov. 8. It is unclear if either of the outages had any role in sparking the Camp Fire. Investigators have yet to determine the cause of the blaze. However, PG&E already faces the threat of numerous lawsuits, and the utility has stated, if it were determined that its equipment started the Camp Fire, the financial liability it would face could exceed its insurance coverage. Concerns have since arisen over the possibility of the Camp Fire bankrupting PG&E. PG&E’s stock price has plummeted more than 50 percent since the start of the fire. The utility’s stock was trading at about $49 when the Camp Fire started and is currently trading at about $23. As of Monday morning, the Camp Fire has burned 151,000 acres and is 66 percent contained. The blaze has destroyed 11,713 homes, 472 commercial buildings and 3,388 other structures. I’m not sure why people seem to be hoping PG&E goes bankrupt. If they are doing their due diligence and a line fails – how are they responsible? No matter how well they operate nothing is 100% fail proof. Are we going to sue the state for failing to clear the “millions of trees” governor Brown said were killed by climate change? What about the town of Paradise reducing the road by 2 lanes despite warnings (LA Times)? It’s a tragedy but honestly the utility cannot decide to not provide power because you live in a fire prone area. There is risk in everything you do. It isn’t always some one else’s fault. Not to worry Gov Brown/Newsom will take care $ of $ their $ friend $ PG&E. This news just makes you want to throw your money into the Stock Market. Almost like making loans that morph into a partial balance. Once upon a time, within a developing country, well funded communities and expanding everything opportunities, investing your money for others manage made sense for the less aggressive. Today, I see the market as a place to put money you don’t need to possibly make a short term gains or just loose because you didn’t need it anyway. These down turns are great for the company’s debt liabilities, because they do not guarantee the investors anything. Consider this story, Oh know we might get sued and you now have 50%.